Garage door installers in Jacksonville, FL make the process look easy , but that’s why they’re the experts. While some aspects of garage door replacement can be dangerous, there are some that are a little more safe and straightforward. Watch this video on the process of installing new weatherstripping. Weatherstripping helps seal out exterior air and keep conditioned air inside your space, which can boost your efficiency and help you save money. Once your old weatherstripping is off the doorjamb, use it to measure your new strip and match lengths. Make an initial cut in your strip with a knife, and then use a saw to handle the rest. Set your nails in the trim, then line it up with the jamb and drive the nails in. Now you can caulk the stripping again and paint the area. Cut the top of your stripping at an angle before moving onto the other side. Before you can go out and set up a new garage door installation in Ponte Vedra, you’ll need to have some idea of what you’re looking for . The best choice will make your home more comfortable and efficient, while also adding aesthetic appeal to your property. Think about the different options you have to choose from when it comes to materials, and look at your existing home design for inspiration. Read on for a few tips for picking the best garage door for your home. 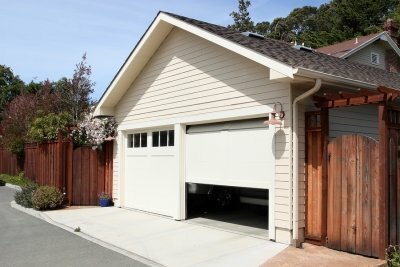 One of the nice benefits that a new garage door offers is often overlooked. 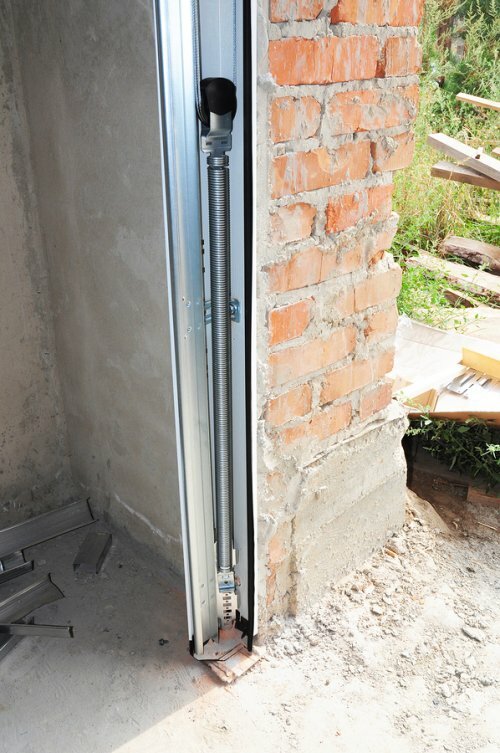 An insulated door will do a great job of keeping your conditioned air in your house and exterior air out. This means that your heating and cooling systems won’t have to work as hard to keep your home at a comfortable temperature, ultimately lowering your energy bills and even extending the lifespan of your appliances. This can be especially helpful if your garage is a living space, so consider the benefits of insulation next time you’re out looking for a new garage door. 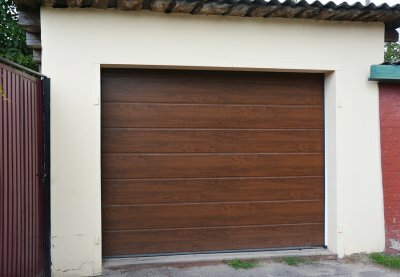 Your new garage door may be made of anything from wood to aluminum. The former offers natural beauty at the cost of high maintenance, while the latter is light and durable. If you’re looking for a new garage door that will stay standing through heavy winds and rain, a steel door may be the way to go. Vinyl is another popular material due to its durability and versatility. When you purchase a new garage door, you have the opportunity to vastly improve the curb appeal of your home. If you want to make sure you choose the absolute best new garage door for your property, consider its surroundings. Look at the colors and themes already present in your home’s design scheme and work with the garage door experts to choose a door that matches. Remember that the material the garage door is made of will also impact its appearance, so take that factor into consideration when making a decision. 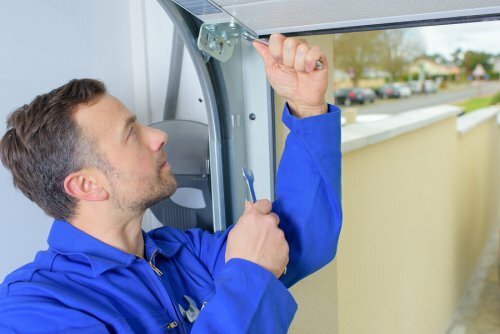 When you schedule garage door repairs for your home, your technician may recommend that you replace the weather stripping around the garage door itself. In this video, you will take a closer look at how garage door experts replace garage door weather stripping. After the original weather stripping has been removed, the technician will be able to set the new product in place. Scheduling top quality garage door repairs in Jacksonville will help you keep your garage door in perfect condition. If your home is in need of garage door repairs , do not hesitate to contact a company that services your local area. 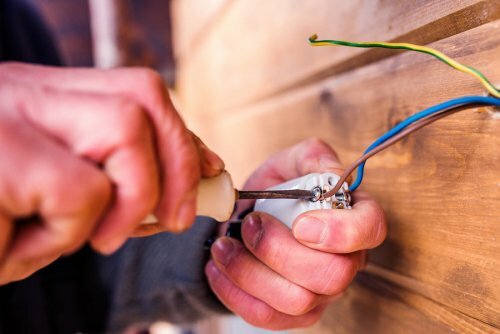 By trusting your garage door repairs to the professionals, you can ensure that your garage door remains secure and weatherproof, throughout every season of the year. A keypad is a great way to operate your new garage door in Jacksonville, FL, but what happens if you decide to change your access code? As long as you know how to reset your keypad, you won’t find yourself locked out of the house. Check out this video clip to find out how you can go about resetting your garage door keypad. If you take a look at the back of your motor, there should be a learn button that allows you to set a code for your garage door. After pressing this button you will typically have about 30 seconds to program the desired code into the system and hold the enter button. To change your code without calling the garage door company, enter your existing code and hold the pound button down. You can then choose a new code, type it in, and hit the enter button again.